March Madness: A Big Thank You! 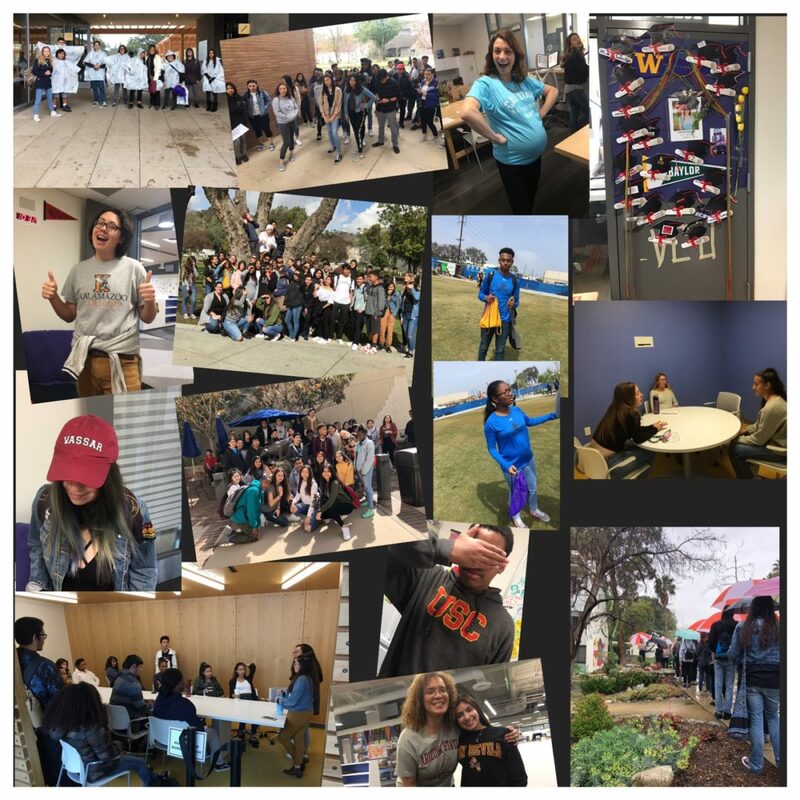 Thank you to everyone who participated in March College Madness, March 12-23! The DVD Marching Band kicked everything off with college fight songs during lunch. Congrats to Seshah Eshete and Kamille Perry for winning the DVD boys vs girls 3 point basketball shootout. Congrats to Cari Werz’s 9th grade advisory for winning the college door decorating contest—pizza is on the way! Honorable mention to all who wore college apparel on the designated day. 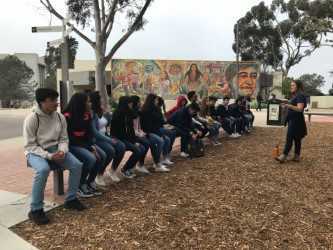 Students were engaged as they sat in on presentations from UCLA School of Theater, Film & Television Department of Theater, Sci Arc and the ArtCenter of Pasadena. 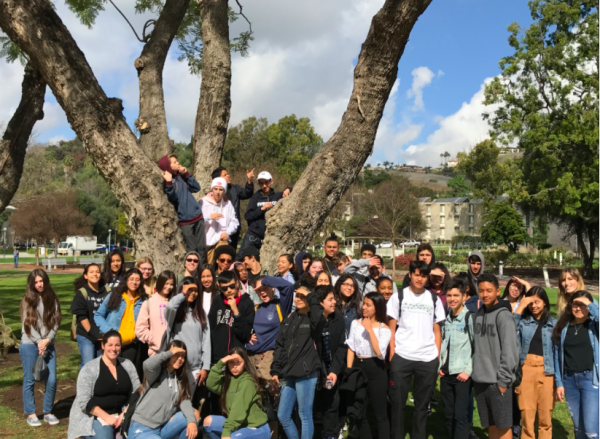 The DVD Counseling Team took 9th, 10th and 11th grade students to visit UCs, Cal States, and the Claremont McKenna Colleges (rain or shine)—-we thank teachers and academic coaches for helping us. And, lastly we ended the two weeks of activities with DVD alumni talking with students about their college experiences. Here are some pictures for your viewing enjoyment!